Estimated reading time: 4 minutes, 56 seconds. Paying down your debt does not mean you should put the brakes on your retirement savings. While it may seem to make sense to earmark all your extra money to your debt repayment plan – especially if your retirement is a long way off – you still should be contributing between 5%-10% of your income to your retirement savings. Early and steady contributions will help you have a more substantial retirement fund in the future. You should still be contributing to your retirement and emergency savings accounts, even when you are paying down credit card debt. Many people end up in debt because they did not have enough in savings to cover a financial emergency. A CNBC article from earlier this year reported that according to research, only 39% of Americans had enough savings to cover a $1,000 emergency. Even if you have a significant amount of credit card debt to repay, it is still important to establish a savings account and keep it maintained and growing. A savings account can help you manage large unexpected expenses such as a car or household repair or medical bill without turning to credit cards or your family members for a loan. It can also provide a financial cushion in case of a job loss. The last thing you want to do while trying to pay down your debt is incur more of it. The easiest way to grow your savings is with an automatic savings plan. If you already have a plan, keep it going. If you don’t, make it a priority to set one up. 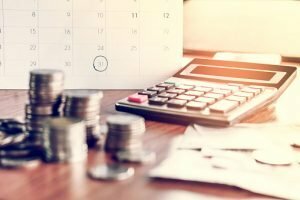 Read this Omni blog for some tips on how to get started: Use an Automatic Savings Plan to Help Reach Your Financial Goals. Paying off a credit card feels awesome and after that final payment, you may be tempted to close the card for good. However, it will be better for your credit score if you keep the card account open – just don’t use it. Your credit score is based on how much available credit you have. A credit card that is open, but not used, shows the credit scoring companies that you have credit but can be responsible with it. This can help raise your score. Pay off your highest interest card first – Allocate any extra money you have to paying off the credit card with highest interest rate and pay the minimum on the rest. For example, if your highest interest credit card has a $60 minimum payment but you can afford to pay $70 each month, then put that extra $10 toward that balance. Your balance will decrease faster and you’ll be paying less interest in the long term. After paying off that card, apply the extra $10 payment to your next highest interest card. Pay off the card with the smallest balance– While the first strategy can save you money on interest, some people are more motivated by getting a card paid off fast. Put any extra money you have toward the card with the smallest balance, and pay the minimum on the rest. After paying off that card, apply that same amount of money to the card with the next smallest balance. Multiple credit cards mean a variety of due dates, minimum balances, and interest rates. This can be difficult to manage and may lead to missed payments, late fees, even higher interest rates, and eventually, a lower credit score. Debt consolidation can be a smart option for getting your debt under control. Debt consolidation can be a smart option for getting your credit card debt under control. With debt consolidation, you take out one loan which is used to pay off all your credit cards. You’re left with just one loan to pay. Unlike credit cards, a debt consolidation loan is an installment loan. It features a fixed interest rate and set monthly payments. Credit cards can put you on an endless cycle of revolving debt, but a debt consolidation loan can help you stop the cycle and in time, get out debt. Learn more about the benefits of debt consolidation. Moving forward in the debt reduction process requires really examining your spending habits and making some changes and sacrifices. If you continue on the same spending path, any progress you make in paying off your debt will just be negated. Pay with cash whenever possible and save your credit cards for emergencies only – and only if you do not have enough money in your emergency savings account. Avoid accumulating more debt and stay focused on your goal. Think of how much peace of mind you will have once your credit cards are paid off. Omni Financial is a military lender with years of experience providing debt consolidation loans and other types of personal loans. We also host free Out of Hock & Out of Debt classes at our offices near military bases around the country. Contact us online, over the phone or stop by one of our offices today and find out how we can help you regain control over your credit card debt.